Would you like to receive an invite to join Merit, the friendly crpytocurrency? You've come to the right place. If you haven't already, download the Merit client on merit.me or use the web wallet on wallet.merit.me. 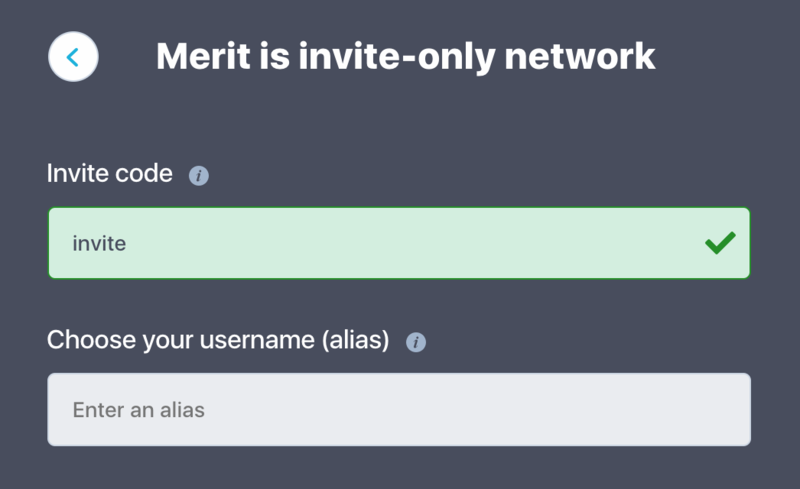 Choose "I received an invite to Merit by someone I know" and enter invite as invite code, as depicted below. Enter your desired username and confirm. Send a mail to meritinvites at fastmail.com in which you include the username you signed up with and one sentence why you would like to join. Now simply wait for us to unlock your new wallet as soon as possible. Welcome onboard!